... with 2 days of face melting sounds at an incredible beachfront location on the shores of Vietnam. More details on accommodation and line up to follow - lock it in! When does BUNKER take place? The 2018 edition will take place November 3rd & 4th in Phu Quoc - Vietnam. What is the minimum age to attend BUNKER? 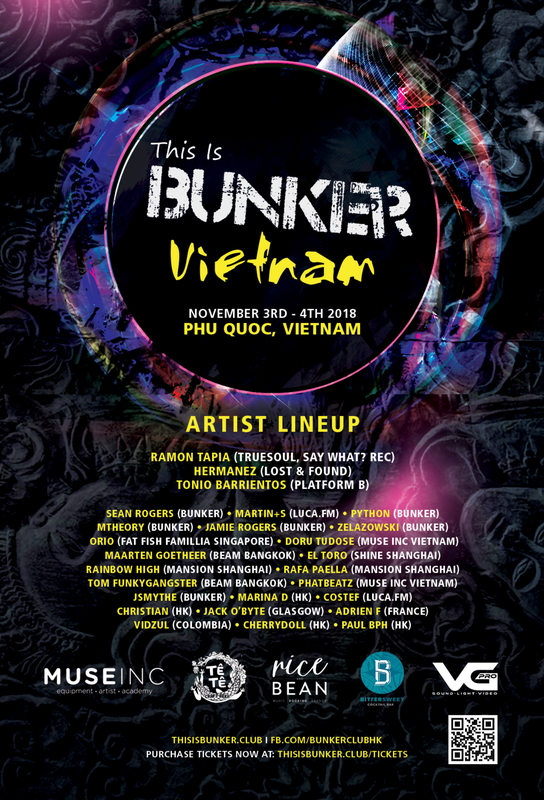 It is an all day and night event which takes place at a purpose-built BUNKER CLUB at a secret beach location on Phu Quoc. Location to be announced closer to the event.